A few years ago, just after purchasing my 1st camera, I was looking for a little tripod to carry with me whiletraveling, and I went with the Sirui T-005X. I’ve literally carried it around the world for the past 3 years and it never left my bag, until today. 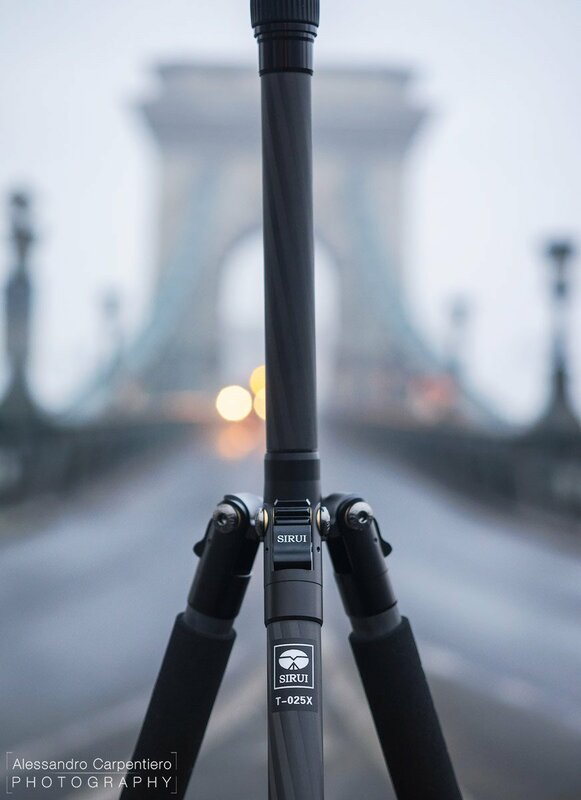 This tripod is specifically built for serious Travel Photographers, so Sirui aims to deliver a high-quality product with two main objectives: being portable & lightweight. As you can see from the details above when folded the T-025X becomes really portable, which makes it super easy to store into your backpack or trolley: you won’t need to wander around a city with your tripod bag for the whole day! When closed, the Legs fold up 180°, making it extremely portable. This is something fundamental for my travel tripod, as I always want to be discrete and efficient with my gear. In fact, it perfectly fits in the upper compartment of my 1-day photography backpack and inside by photography trolley, places where other travel tripods (such as the Manfrotto BeFree Carbon) do not fit. How much does the T-025X weigh? Precisely 0,9kg (2.0lb), and that’s including the Sirui C-10S ball head! (more details about it later). That’s an impressive result in terms of dimensions/weight ratio, only possible with great engineering and high-quality materials, which leads us to the next point. 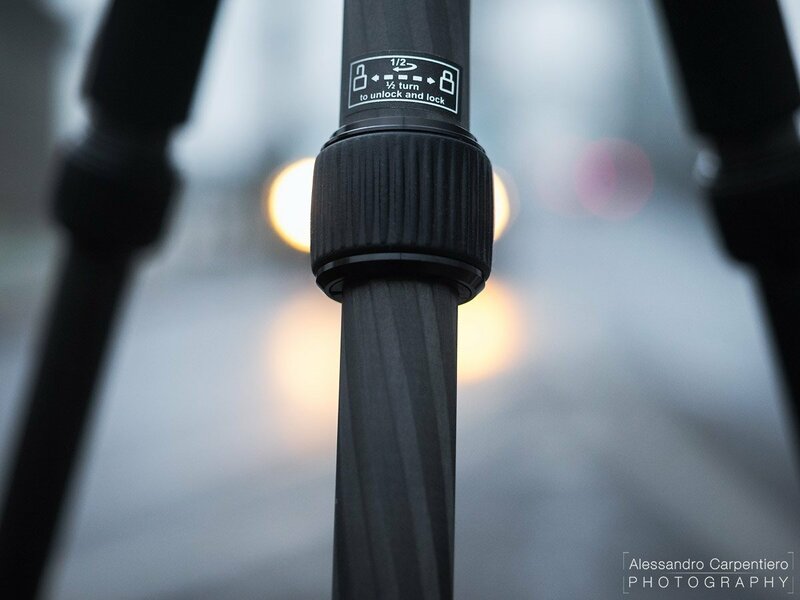 All the legs and the column are made by an 8 layer 100% Carbon Fiber, which ensures the best combination of strength, load capacity, and vibration reduction. This high-quality (and expensive) material can, in fact, dampen vibration much more effectively than aluminum, which will ultimately translate into having a more stable tripod. It definitely feels like a high-end product and the build quality is excellent. Despite its reduced dimensions & weight, the Sirui T-025X has a maximum load capacity of 6kg (13.2lb)! My gear is fairly light, so I haven’t loaded it with the full 6kg, but I can confirm that it keeps my gear perfectly steady: I’ve tested it both with the Olympus OM-D E-M1 + the 7-14mm f/2.8 and with the Sony a7RII + the Sony 24-70mm f/2.8. 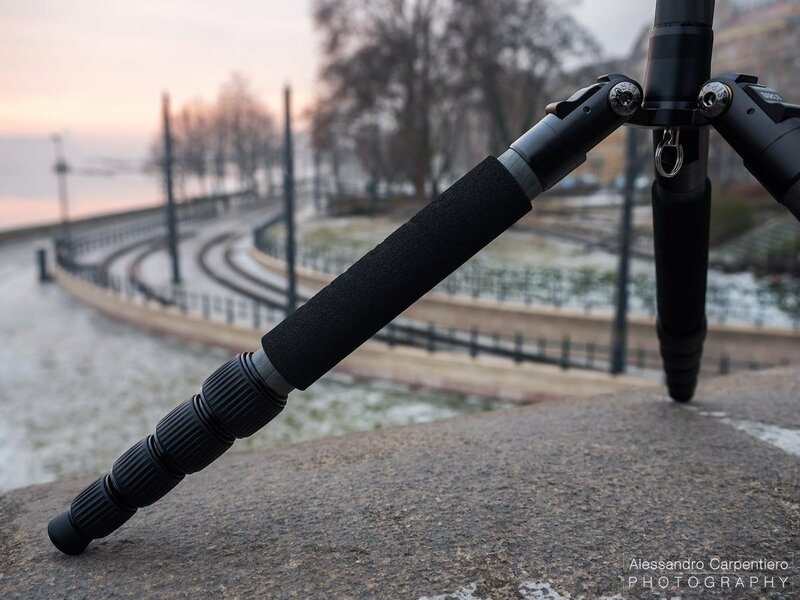 This tripod has several interesting features which will make your life easier when shooting. They may seem like little details, but they do make a difference. 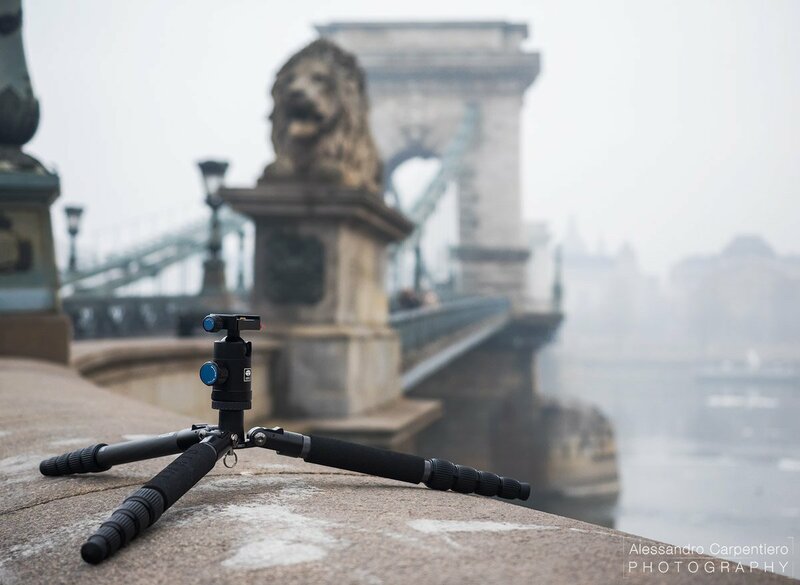 Speed and practicality of use are key elements for a tripod, especially for a travel one. Imagine being on Oia’s cliff (Greece) to capture the glorious Santorini sunset: everyone wants the best spot, and the sun isn’t waiting for you before setting. Gladly the Sirui T-025X can be easily set up! You just need to half-turn the lock, extend the section, half-turn the knob back to lock it. With some practice, you’re going to be able to fully open the 5 sections of the tripod in about 20-30 seconds. Each leg has an automatic leg angle-lock mechanism, which will allow you to find the needed angle very quickly. Of course, each leg is independent, so you can use different angles for uneven terrains. I have mentioned the min/max height at the beginning of the article, but how does it look in real life? When fully opened (with the center column extended + the head height) it’s almost 140cm tall, which is pretty impressive considering how small it is when folded. 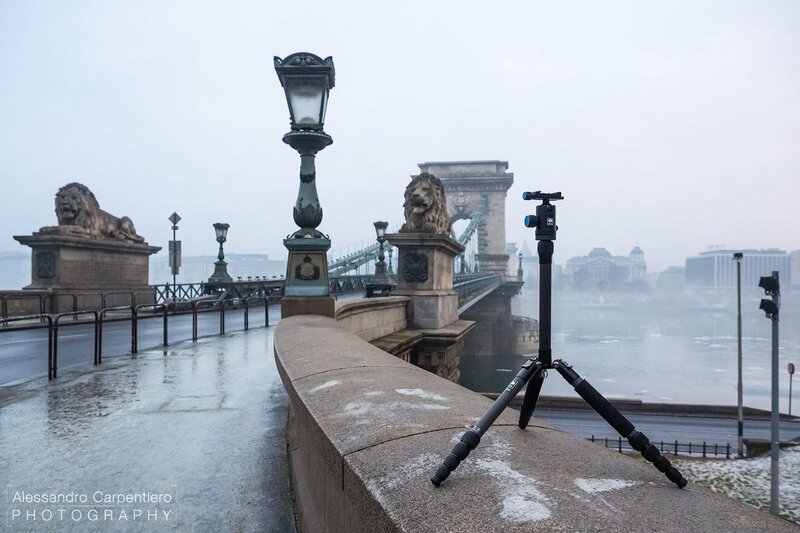 This makes it usable in several situations, also when shooting in a city; as you can see above, for example, I was able to set my camera higher than the parapet of the Chain Bridge in Budapest (take a look here for a picture of the bridge I took later that day). On the other hand, if you need to get really low (to shoot for example some macro photography or to lower the center of gravity for added stability), this little fella has you covered. All you need to do is to unscrew the center column, and ta-dah! As you may have noticed in the previous shots, there’s a little hook on the bottom of the tripod. This little detail will allow you to attach a weight (your backpack for example) with a carabiner for increased stability, which is something very useful in windy days. Additional tip: make sure to use your own body as a shield to protect the tripod from the wind. 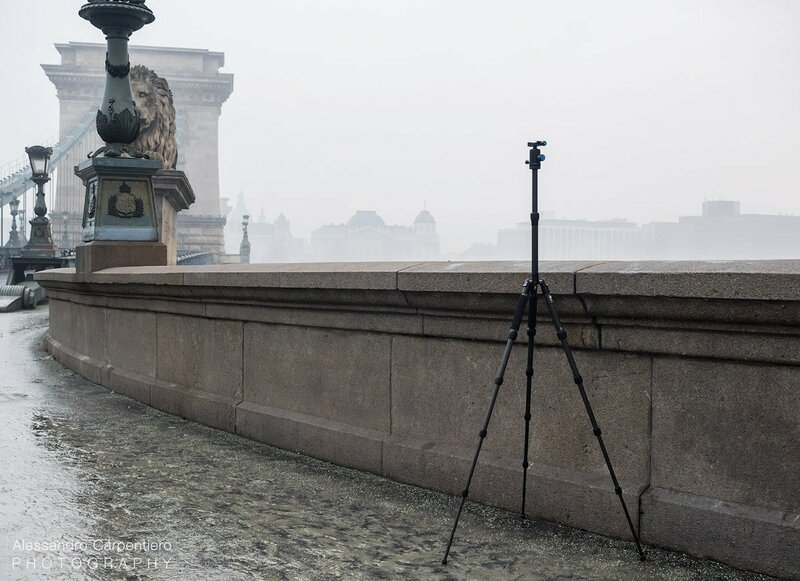 Two of the three legs have the 1st section padded with a sponge-like material; this will allow you to move around your tripod in very cold days without having to touch the freezing carbon fiber with your bare hands. For additional comfort you can always use some kind of Photography Gloves; I have these. 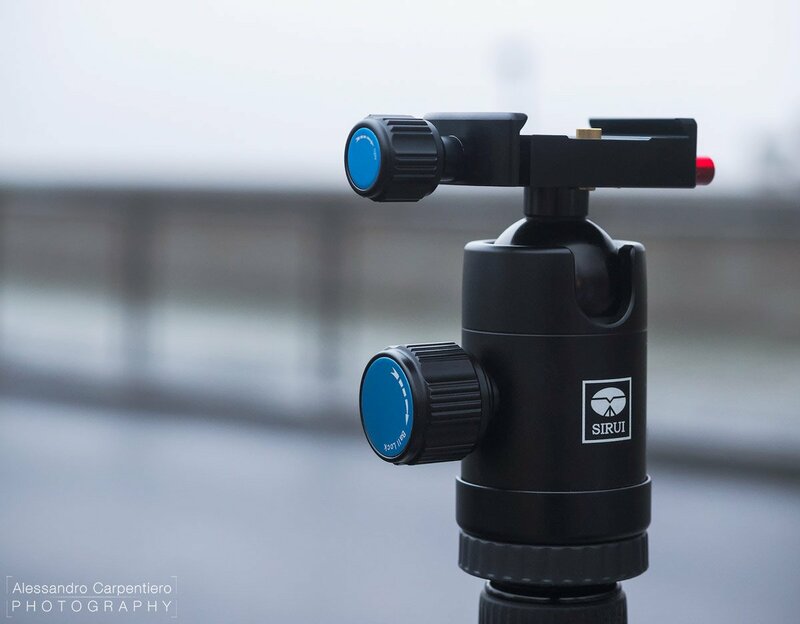 If you purchase the “Kit” version of the tripod, you also get the Sirui C-10S travel ball head! It weighs 0.22kg (0.5lb) with a maximum load of 4kg (8.8lb). The knobs are very pleasant to use and fluid, and they lock firmly. 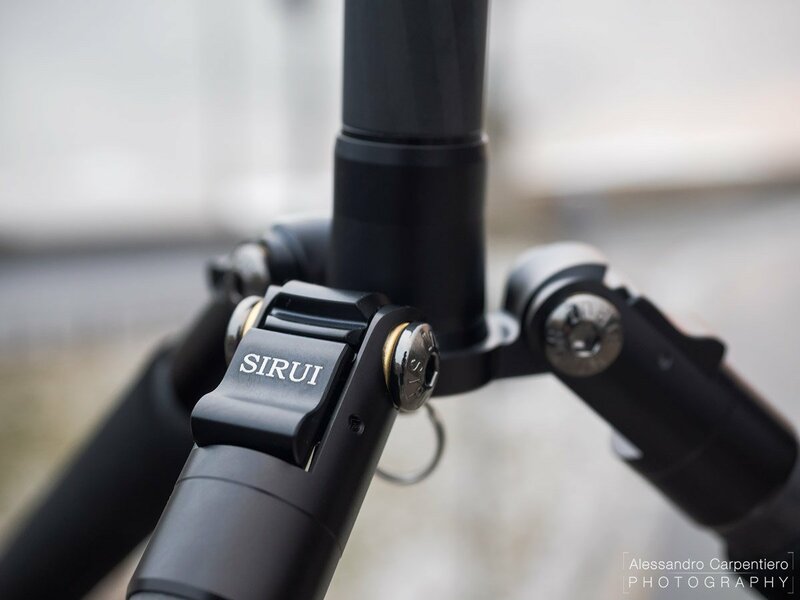 Sirui doesn’t use a quick-release system for the head, and I honestly like this system better as I can see and feel with my hands when everything is 100% locked, while the quick-release systems always leave me with a bit of uncertainty. Talking about safety, the head has a Safety Release button (which looks pretty slick!). Thanks to this little system, if you forget to firmly secure your camera to the tripod, it will not fall. Additionally, you will be able to detach your camera pretty quickly just by loosening the locking mechanism and pressing the red button. 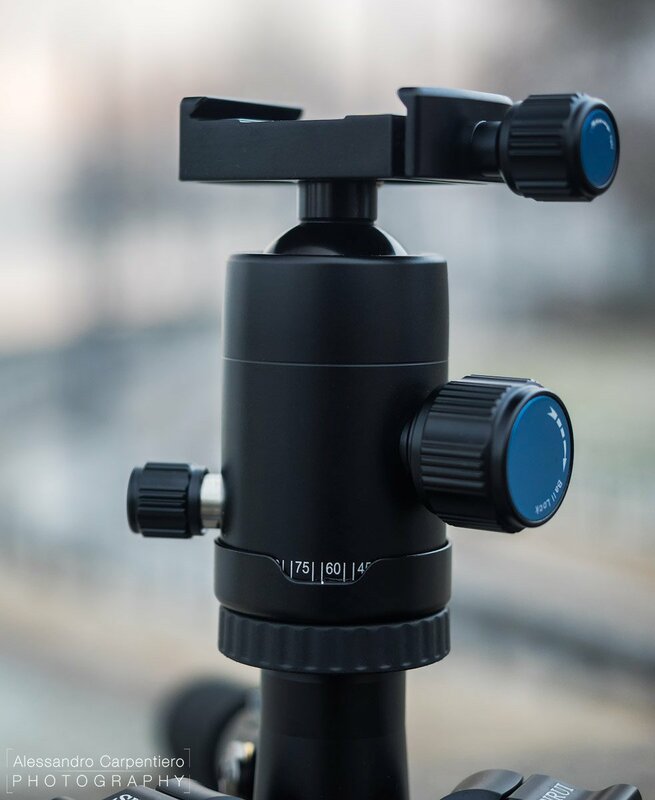 If you are into panoramic photography here’s a little treat for you: this ball head even has a little knob for rotation, with a degree of rotation indicator. 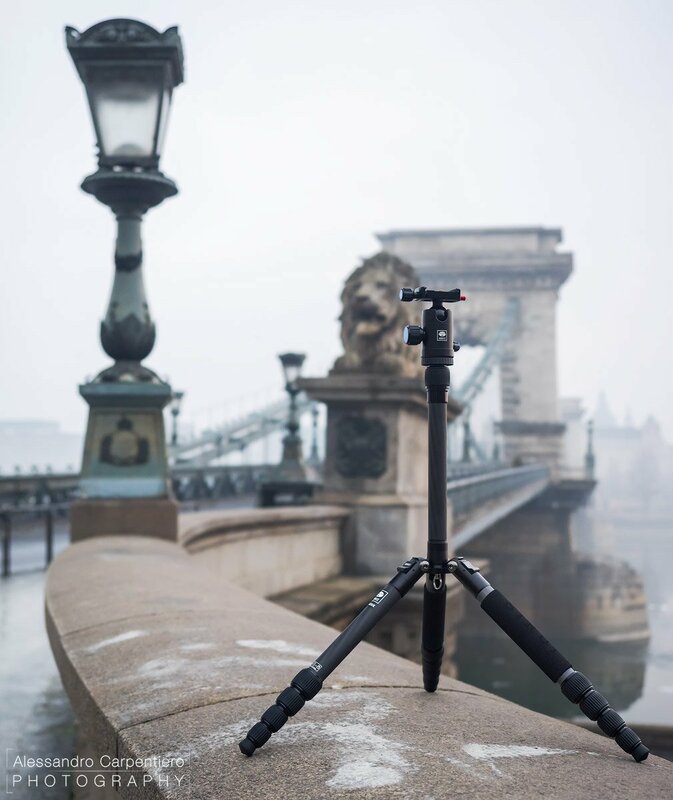 With the T-025X, Sirui delivers a high-end tripod for photographers which needs extreme portability and great performances, all at a fair price. 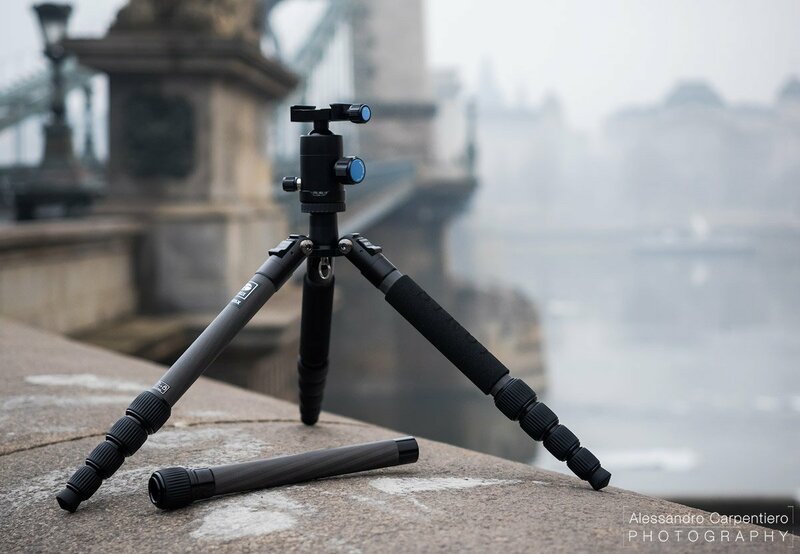 If you are looking for a tripod for your travels or hikes, this could definitely be the one. What’s certain is that from now on it will always be in my bag. Nice review. Since you’re an olympus user do you ever test out this tripod with High Rez mode. I occasionally see some blur in my shots and I’m wondering if it’s time to upgrade. 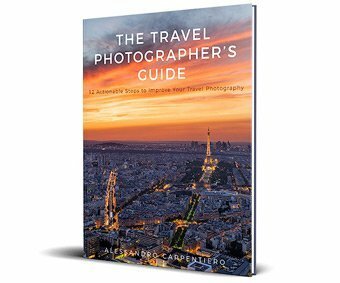 Do you have any examples online?